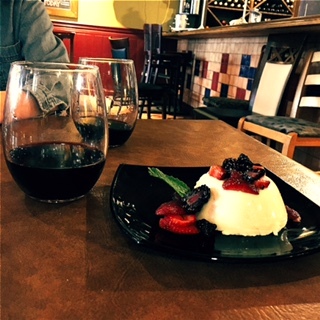 Making Panna Cotta Is Easier Than You Think! When someone thinks dessert after a meal, most of the time the answer is “I couldn’t eat another bite”. A lot of the time this is because most desserts tend to be sugary and very rich like cheesecakes and tortes. However one of my personal favorite desserts post meal doesn’t often get that reaction due to its fresh and light flavors, even though it contains dairy it is far less than many conventional desserts. I’m referring to Panna Cotta the dessert originating from Northern Italy. Historically it was made by simmering sweetened cream in fish bones, the collagen in the bones would help the cream set acting as the gelatin. In modern times it is used with plain gelatin. It is such a great dessert for so many reasons; it is very versatile, extremely easy to make and holds extremely well. It’s versatility is based in the fact that you can flavor or top it with a huge variety of ingredients, fresh berries and vanilla are always a classic but you can even use coffee, rum, chocolate or anything else that you think would work well. Its simplicity comes from the 10-15 minute prep time that requires one pan and a bowl. Below is a recipe for Panna Cotta, most recipes call for heavy cream but I like using either half and half (10% cream) or heavy cream and 2% milk either choice leads to a smoother less jelly like consistency. It’s also gluten free which makes it a great and delicious choice to people with celiac disease.